Pokemon Red Version (AKA ポケットモンスター 赤&緑 Poketto Monsutā Aka & Midori in Japan) is a role-playing video game (RPG) developed by Game Freak and published by Nintendo for the Game Boy system in 1996. 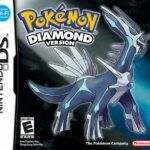 Blue and red are the first installments of the Pokémon series. 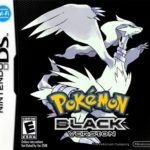 Some years later, a wonderful remake of this game was released for the GBA. 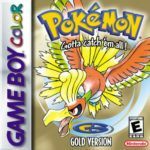 Arguably the greatest game in Game Boy history, Pokemon is an absolute phenomenon when it first hit the shelves in 1996. More than 20 years and a ton of spinoffs later, it remains among the top-grossing franchises in Nintendo. The original 2 games of the pocket monsters series is the Blue and Red, with Green and Yellow versions coming out slightly later. In this review, we take a closer look at Pokemon Red Version, the one that started it all. Pokémon Red is basically a “version” of the Pokemon RPG, with content that is complementary with the separate Blue version (more on this later). In this game, you take control of Ash (you can actually change his name to whatever you like) as you pursue to become a Pokemon master. In order to achieve this lofty status in the game, you’ll have to catch and train Pokemons, battle other trainers, and get badges. Of course, achieving that is easier said than done, but the process is so absorbing that you’ll find yourself playing for hours. The gameplay of Pokemon Red Version is like any usual RPG. Your monsters have specific skills that you can exploit during travel and battle. They also have strengths and weaknesses. It is up to you to create the best Pokemon team possible and use the right strategies during battle. You can connect with other players using a link cable, and you have the option to either trade Pokemons or have a battle. 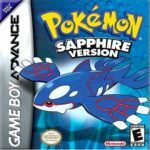 An interesting wrinkle in the game is that you’ll need both the Blue and Red versions of Pokemon to collect all 150 Pokémons, as there are some version-specific ones that you can only acquire by trading with other players. 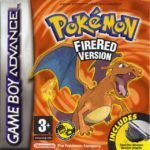 Pokemon Red Version game for the Game Boy may be more than 20 years old, but its gameplay has aged very well. More than a time capsule, this is a legendary game that is still relevant up to this day.